Designed as a competetive unit for the likes of the Zenith 'Trans-Oceanic', Hallicrafters had the 'Trans-World' 1000, 1000A and 2000 (all of which were electrically identical) available in black, blue and brown - rather pedestrian colours. The set featured connections for a standard longwire antenna but also had built in whip, stick and loop antennae as well as being supplied with the 'Skyrider' portable antenna. 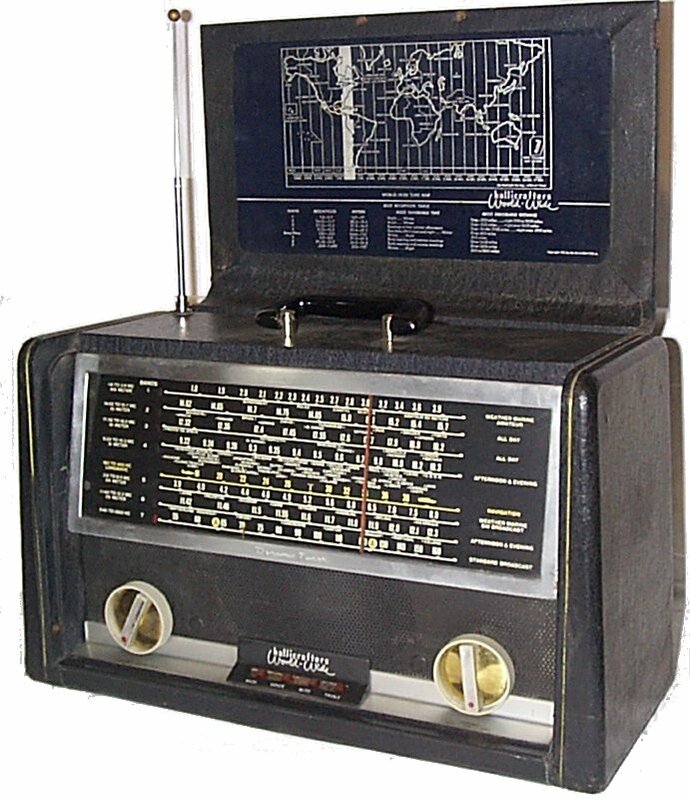 It had a powerful audio output to a 5"x7" speaker or headphone socket and was an excellent example of the 'globetrotter' type of radio for the well to do traveller. In fact, this is a serious piece of kit and is superbly designed and well-built. Adjusted for inflation, it would cost just over US$1,000 at 2004 prices!